Central banks went on the biggest spending spree in 50 years, buying the most gold since 1964 last year. Their high stockpiles of devalued metal probably makes them the biggest losers of the gold slump. Central banks have bought the most gold since 1964 in 2012 just before the precious metal took a plunge on the stock market, and are now stuck with record losses and a stockpile of devalued gold. 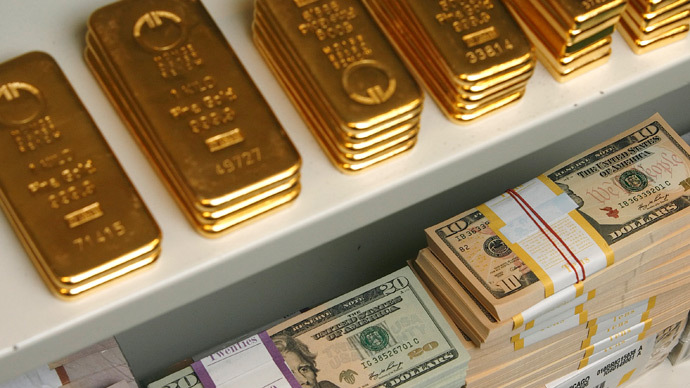 The World Gold Council reported central banks added 534.6 metric tons to worldwide reserves, and then the price fell. The banks are now stuck with huge stocks and bear market prices: in 2013 gold has tumbled 14%.In textbook economic terms, they bought high and will most likely have to sell low. 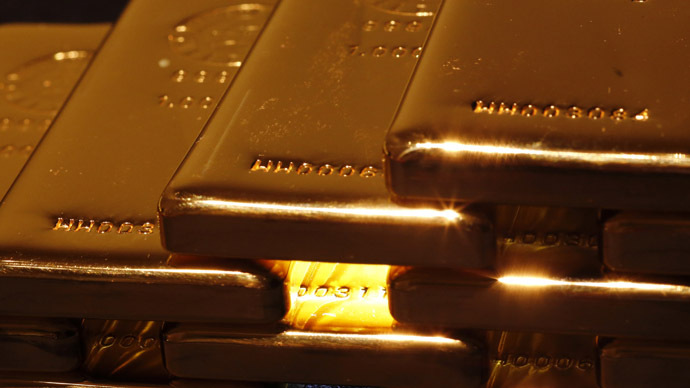 The Gold Council expects purchases of 450 to 550 tonnes in 2013. On April 12 gold entered a bear market, and plunged 9.3%, the most in 33 years. According to Bloomberg’s figures, $560 billion has been wiped from the value of gold held by central banks since September 2011, when gold reached a record-high of $1,921 an ounce. In the glory days of a bull market, governments, hedge funds, and equity funds alike stocked up on gold. Many governments are still stockpiling gold - on Thursday Russia and Kazakstan bought 5.9 metric tons of gold, which eagerly sent prices up 1.4 percent on European markets. 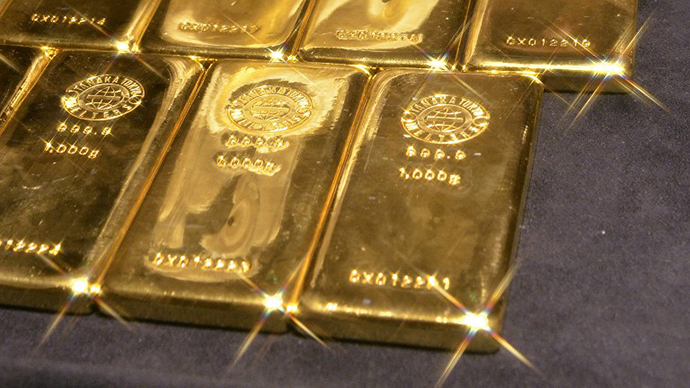 Russia has emerged as the world's top gold buyer. The Kremlin added 570 metric tonnes to its reserves in the past decade. Central banks were ransacked by the gold slump, but there have been margins of profit for other gold industry niches. Sales of gold coins by the US Mint have hit a 3 year high. As of Wednesday, sales totaled 196,500 ounces, outselling March, according to the mint’s website. Jewelers are also taking advantage of low gold prices. China, India, the US, and Australia are buying both coins and bars after futures plummeted 13 percent, hitting rock bottom on April 15th. The China Gold Associated has reported that Australian mint sales have doubled and that purchases in China have tripled. Japanese consumers are also positioned to buy gold. The yen’s decline and looming inflation may attract them to the hedge gold to provide a hedge against a wavering currency. In Japan, it may be logical to seek safety in bullion. Gold has jumped 2.73% in New York, up to $1447.00 an ounce at 9:46am EST, hitting a 10-day high. Gold’s bump has coincided with improved Sterling futures, as it has appreciated more than 1% against the dollar since London opened on Thursday. The pound strengthened the most in a month against the dollar after a report showed the UK economy nearly avoided a triple-dip recession with strong 1st quarter growth. Gold bounces back – but for good?